Consider a shaft of negligible mass whose upper end is fixed and the lower end carries a heavy disc. 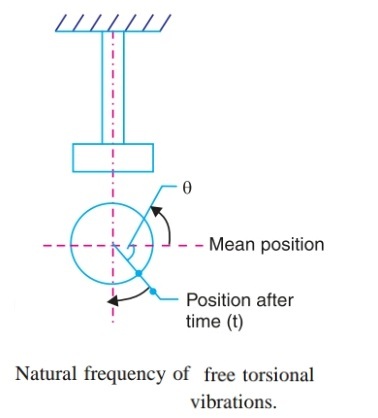 If the disc is given a twist about its vertical axis and then released, it will start oscillating about the axis, which are known as Torsional vibrations. q = Torsional stiffness of the shaft in N-m. The inertia torque is equal to accelerating torque but opposite in direction.